Funicular Góra Parkowa is located in Krynica Zdrój. Funicular was built in 1937. At the top of the mountain is viewpoint where you can admire surrounding countryside. 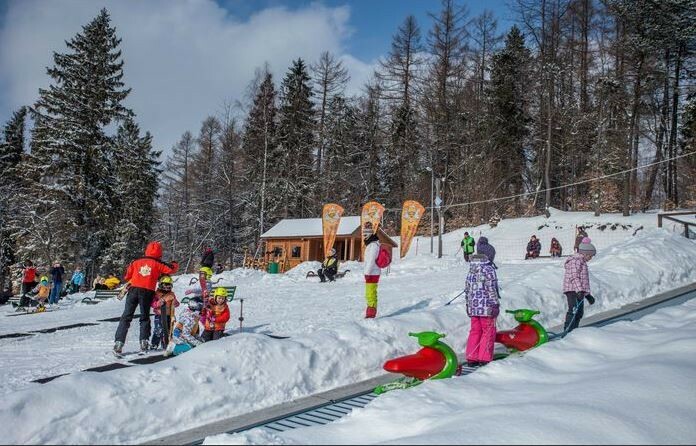 On top of the mountain is ski lift suitable for children. Get Snow Reports, Powder Alerts & Powder Forecasts from Krynica - Góra Parkowa straight to your inbox!